Jakarta (Indonesia) 1 March 2017 - Meeting with the ASEAN Commission on the Promotion and Protection of the Rights of Children (ACWC), SRSG Santos Pais noted the important foundation provided by the 2030 Agenda for Sustainable Development and the ASEAN Regional Plan of Action to End Violence against Children, adopted at the 27th ASEAN Summit in November 2015 for translating into reality the ambitious goal of building a world free from fear and from violence for all children. “Investing in children and violence prevention is a pathway towards sustainable development and a critical step to strengthen peaceful and cohesive societies in the ASEAN region and beyond” highlighted Santos Pais. The SRSG’s annual high level dialogue with the ACWC Representatives has become a strategic platform to take stock of important global developments as well as regional initiatives to enhance the prevention of violence and the effective protection of child victims. Across ASEAN important steps have been taken to advance this cause, including legal reform in countries such as Lao PDR, Thailand and Viet Nam, the adoption of national strategies on violence against children in Cambodia, Indonesia, Philippines and Thailand, as well as comprehensive data survey in Cambodia, Lao PDR and the Philippines. In this second year of implementation of the 2030 Agenda, the meeting was particularly timely to identify the major thrusts voluntary national review reports should address to build upon the commitment made by the international community to invest in children and eliminate all forms of violence against children, and achieve progress towards the violence-related targets of the SDGs. “The theme of the High Level Political Forum for 2017 ‘eradicating poverty and promoting prosperity in a changing world’ provides crucial opportunity to promote sound investment in violence prevention from early childhood and support to children’s healthy lives, and quality, safe and inclusive education for all boys and girls. These are indispensable steps to promote nations’ human capital formation and to prevent the avoidable costs associated with inaction. Every year the cost of violence against children amounts to 8 per cent of global GDP, and across the Asia-Pacific region it costs 209 billion US dollars” Santos Pais recalled. 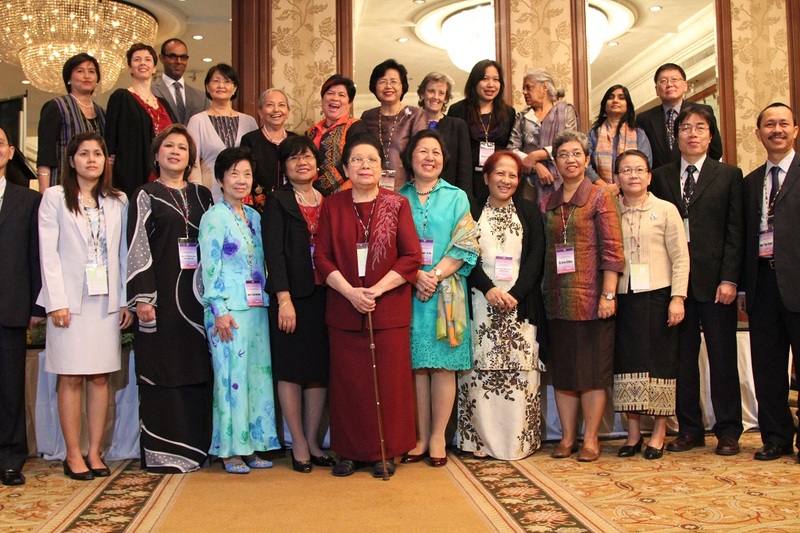 Acknowledging the promising global developments to prevent and address violence against children highlighted by the SRSG, the ACWC Representatives stressed the importance of children’s participation in implementation of the SDGs and review processes, as illustrated by the powerful and important recommendations emerging from the 2016 ASEAN Children’s Forum, held in Hanoi. Strong emphasis was also placed on the urgency of investing in sound social protection schemes, positive parenting, early childhood programmes, and child-friendly services, to prevent and address violence against children, including harmful practices such as child marriage. The discussion also highlighted the vital need for cross-sectoral coordination, resource mobilization, and a participatory process to monitor and sustain progress. Reaffirming their commitment to support world-wide efforts to eliminate all forms of violence against children, the ACWC Representatives echoed the call by the SRSG for investment in children and zero tolerance to violence against children to remain at the heart of SDG implementation.